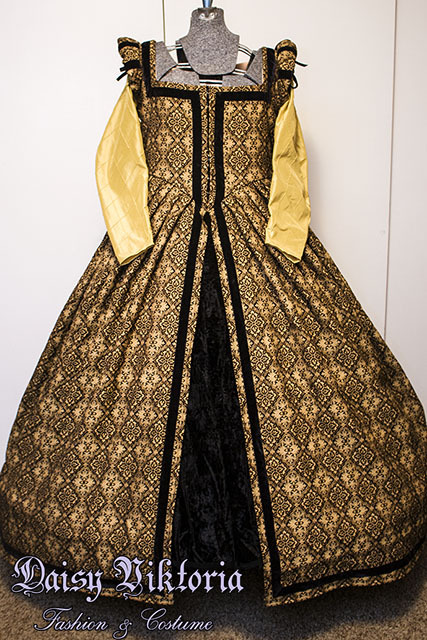 This gown was created for a client, who provided the gorgeous black and gold brocade fabric. The black under skirt is a place holder, as she was creating her own under skirt in fabric to match the sleeves. The gown closes with hook and eyes in front, and it also laces in the back so it is slightly adjustable. 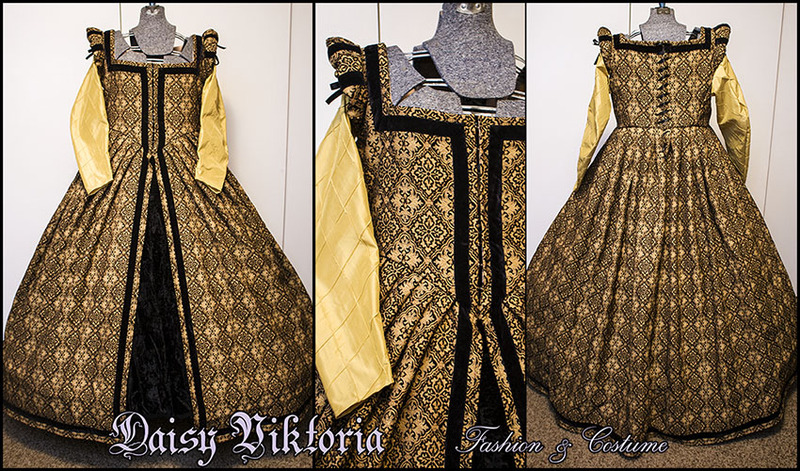 This is worn over a corset and farthingale / hoop skirt.